By 17 to hated rival Clemson, a second straight loss to them, this one while they’re being coached by a grown man named “Dabo”. Thank goodness that hasn’t happened again (until 2014). By 21 to Iowa in the Outback Bowl, a game in which we never should have been, and by a final score that wasn’t nearly as close as it sounds. As if a 21-point loss could sound close. 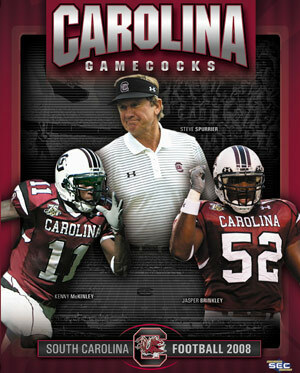 There was more to the season than those three games, and Buck covers them all in the 2008 Gamecock Flashback.